The Japanese team currently in Brazil for the Olympics hope to continue to the quarter finals when they play Sweden in the final round of games in group B.
Japan will face Sweden as they fight for their continued stay at the games, after their last games against Columbia ended 2-2 , giving them a lifeline. Nigeria top the group with maximum points after the second round of games, and have qualified for the next stage. The team to join Nigeria in the next stage is not certain as Nigeria take on Columbia. Columbia have two points after two round of games, Sweden and Japan have one each, leaving the scores of the last round the determinant of who continues to the knockout stage. Columbia almost joined Nigeria in the next stage when they scored two goals against Japan. However, Japan scored two goals in the second half to change their fate. Forwards Takuma Asano and Shoya Nakajima scored a goal each to give the Japanese a lifeline. From the 18th minute, Columbian striker Miguel Borja scored a brilliant goal from outside the box, beating goal keeper Kosuke Makamura. Both teams had opportunities in front of goal but they could not convert them. In the second half, Hiroki Fujiharu caused an own goal, giving the South Americans an edge. The Japanese team went to work immediately, and just two minutes later, Asano scored a goal, making it 2-1. Nakajima curled a shot from 25 yards out, making it 2-2 just before the game ended. Japan would need to defeat Sweden when they meet while hoping Nigeria defeats Columbia, or at best the game ends with a draw. The victory will leave Japan with four points, enough to qualify for the next stage. Richie Gray is reported to have joined up with the rest of the Scotland squad already in Japan ahead of the planned tour. He is even set to feature in the opening on Saturday. The 26-year old is expected in the training session to be held on Tuesday, with the final team announced on Thursday. “We will wait to see what mental and physical shape he is in. He has been very good for us lately, so how he turns up will determine whether he comes in to consideration. Scotland is set to travel to Nagoya on Wednesday 15th June with the first test billed for Saturday, 18th. The team would then travel to Tokyo the nest day with another test on Saturday the 25th. Their opponents, Japan has already warmed up for the tests with their 26-22 victory over Canada in Vancouver at the weekend. Taylor said the Japanese team is quick to contact and that they try to play a high-tempo game, so their team would have to go out to put up the best performance as the Japs want to put a marker down. Gray played his last match for Castres on Sunday and is set for his move to Toulose next season. The men’s national football team of Oman exited the second round of the 2018 FIFA World Cup qualifiers, forcing the national coach Juan Ramon Lopez Caro to design an elaborate plan to fire up the team which will be free till early next year. Lopez Caro announced that the team will have a series of domestic and international camps including couple of high-profile international friendly matches so far confirmed in August and November to keep the team in shape. Lopez Caro anonuced this at a press conference at the Oman Football Association (OFA) headquarters on Monday, adding that the team would play Northern Ireland in the first of the international friendly on August 31 during its camp in Europe from August 17-September 6. They are also scheduled to play another friendly which will be hosted by Asian heavyweight Japan on November 11. The first of the domestic camps will take place from the 1st day to the fifth next month with 26 young players with three players – Khalil al Darmaki (Al Ahli, UAE) Hisham al Shuaibi (Al Arouba) and Abdulaziz al Hosni (Muscat) – called up for the first time to national team. The rest of the players have represented the country in age-group or Under-23 Olympic teams. The team will also hold a European camp in England or Scotland with friendly match planned during the period against Northern Ireland. The OFA also announced that they are working to ensure the national team play during FIFA days from October 3-11 and November 7-15 to ensure the team bound together and achieve results next year. Veteran Japanese striker, Yoshito Okubo, scored two goals in making a record 161 career goals. The goals came in a 4-2 win over FC Tokyo by first-place Kawasaki Frontale. 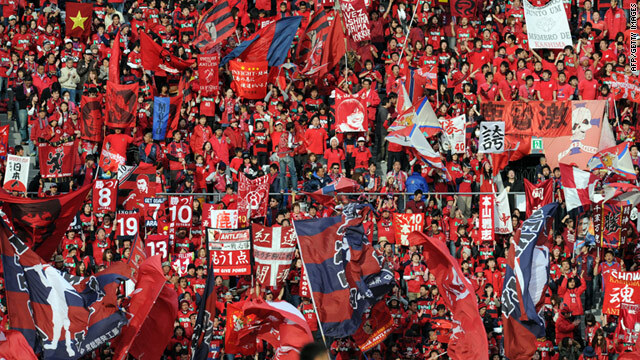 The goals helped the striker rewrite the J-League record books. The 33-year-old Okubo has now scored five goals in seven games, and has caught the attention of Japan national team coach Vahid Halilhodzic. The forward even with his age and injury worries wants to return to the Japanese national team squad. In the match against FC Tokyo, the player was stretched off the pitch in the final minutes due to a sore knee but he has returned to training on Monday. The striker has not had national team action since the 2014 World Cup, but could be recalled for the Kirin Cup slated for this summer. Japan will enter the final round of Asian qualifiers for the 2018 World Cup in September, playing United Arab Emirates in a bid to qualify for its sixth straight World Cup. Okubo has been very vocal about his wish to return to national team action for the Japs, but the Coach keeps leaving him out. The prolific striker equaled the all-time scoring record last month when he scored his 157th career goal to match Masashi Nakayama in the Japanese League. “Someone like Okubo deserves to be on the team. “He may be approaching 34 but he continues to score. He has contributed to the national team in the past and gets the job done in the league. “I may call up 25, 26 players. There could be opportunities for those I haven’t picked before,” the coach said of the player that has picked up the league highest goal scorer for three seasons. Images of U-17 Japan National team are all over the media as the team celebrates their win over the Higashi Fukuoka High School. The game was won on a score of 1-0. It was International Youth Soccer Tournament offering the SANIX Cup. The tournament was not an easy one. It consisted of six games that went on for four days. The last day’s games comprised of a final match between the Higashi Fukuoka High School and U-17 National Team. The high school team won the last season when they participated in the All Japan High School Soccer Tournament. The match saw a lot of viewers as the weather were also excellent. Japan initially faced tough opposition. The defenders focused on the match, it must be continued to swing from one side to another. Forward player Nakamura Shunta struck out two shots in a superb manner, but these went wide. The opposing team grabbed a second chance to take a shot centrally. This also went amiss as the ball shot over the bar after 23 minutes. In the 28th minute of the game the ball came to the front. Forward player Kubo then sent a pass to the midfielder who was on the right side. He dribbled the ball to the center and sent out a strong shot. Japan struck an opening shot. This went to the right hand corner. They came under pressure as the opponent team continued to attack. The defense was put up by Japan in the second half and the team could not relax till the last minute of the game. Having won this game, it was a first time for the U-17 team, which has made 14 appearances in the tournament till now. The upcoming tournament is the 20th International Youth Soccer in Niigata. GianluigiDonnarumma is a 16 year old shot-stopper who has already made a name for himself in the world of football as the youngster has turned into a consistent starter for the Italian club Ac.Milan. This young player has secured a place in the first team of SinišaMihajlović and this is a fairly impressive accomplishment, especially taking into consideration that Donnarumma has been able to prove his worth and snatched the starting role spot ahead of Christian Abbiati and Diego Lopez who are much more experienced players but SinišaMihajlović has left both of them in the sidelines as GianluigiDonnarumma takes center stage. “He is and he will remain Milan’s goalkeeper. We have not received any offers for him and if any were to come in, we would turn them down anyway.”Ac.Milan’s Adriano Galliani said as he stated that Donnarumma isn’t leaving the Italian club anytime soon. Christian Abbiati, Diego Lopez, Mino Raiola, Christian Brocchi, M’BayeNian and even the Italian legend Gianluigi Buffon have all praised GianluigiDonnarumma and believe that the youngster has a bright future lying ahead. GianluigiDonnarumma himself admitted that he wants to remain with Ac.Milan for the long term which is good news for the Italian club as they are in need of top players who can help in their quest of winning the Serie A which has been out of their reach since the season of 2010-11. The question that emerges is in relation to GianluigiDonnarumma, is he truly deserving of all the praise that he has been getting? It’s too early to tell but by managing to get consistent playing time in a top club such as Ac.Milan and stealing that spot away from experienced players is already a feat of it’s own and time will tell if Donnarumma is truly a goalkeeping prodigy. Arsenal are reportedly thought to be considering the prospect of signing former Manchester United striker Javier Hernandez, who is currently playing with Bayer Leverkusen in German football. After being starved of first-team opportunities at Old Trafford, Hernandez finally decided to secure a permanent move away from United. He had been at clubs like Real Madrid on loan deals previously. The striker has an impressive goals to game ratio and it was certainly surprising to see United not giving him enough opportunities. Hernandez has once again proved that his goals record is not a fluke after impressing in his time at Leverkusen so far. The forward his squad and astonishing 11 goals in 14 Bundesliga appearances, while there have also been five goals in six appearances for the German outfit in the Champions League. Hernandez is on course to being nominated for the Golden Boot award across Europe. His form has certainly not gone unnoticed especially amongst teams looking to get some value in the transfer market. Arsenal are one of them and they have identified Hernandez as one of the transfer targets in January. However, Leverkusen have dealt a major blow by confirming that the player is not for sale at any price. The German outfit only recently acquired him from United. “He is not for sale.We had high expectations of him – and he has surpassed them,” said Leverkusen chairmanMichael Schade. The fact that Hernandez has enough experience of playing in the Premier League, which he has won twice from his time at United, says a lot about the player. Hernandez’ importance at United was first introduced when the club brought in David Moyes and it subsequently went downhill during the time of Louis van Gaal. The player was sold for around £ 10 million after having bought him for £ 7 million. One of the most expensive Manchester City signings, Raheem Sterling, claims that he has no grudges about leaving Liverpool in the way that he did. In order to secure his dream move to City, Sterling incur the wrath of several Liverpool fans by threatening to go on strike. This left the club with little option but to sell the player. They received a handsome fee of £ 49 million for the England international who had joined the club as a trainee. Brendan Rodgers regarded Sterling as the future of Liverpool, but those dreams evaporated rather quickly. Sterling claims that the move to City was undeniable from his circumstances since it was going to give him a great opportunity to lift several trophies in his career. Both clubs are huge for various reasons; Liverpool with their huge history that goes back several decades while City have the potential to become as big due to the immense wealth of their owners. Sterling may have cost £ 49 million, but this transfer fee was broken in the same transfer window with the arrival of Kevin De Bruyne. Such is the spending potential at City that they will challenge for trophies without fail and it is not the case with Liverpool at the moment. “I thought [the move to City] at the time was right for me and my heart was saying that is what I should do. That is what I have done and I have no regrets.Liverpool and Manchester City are both big football clubs and I am just happy to be where I am – and I am happy with my development at this moment in time. I want to continue my development and win trophies.Part of it was my development, trying to get myself better as a player, definitely help my club and definitely help my country in big tournaments,” said Sterling. Japanese coach Vahid Halilhodzic says that he is still surprised by the fact that his team were unable to beat Singapore in a recent World Cup 2018 qualifying match. Japan were expected to steamroll their opponents, who were 102 places behind them in the FIFA rankings. As expected, they created a plethora of chances during the 90 minutes. A whopping 18 shots on target coupled with 14 corners said a lot of the match in general, but they were unable to find even a single goal past goalkeeper Mohamad Izwan bin Mahbud. It was probably one of those games when the goalkeeper looked invincible. After the game,Halilhodzic said that he could not explain the result. 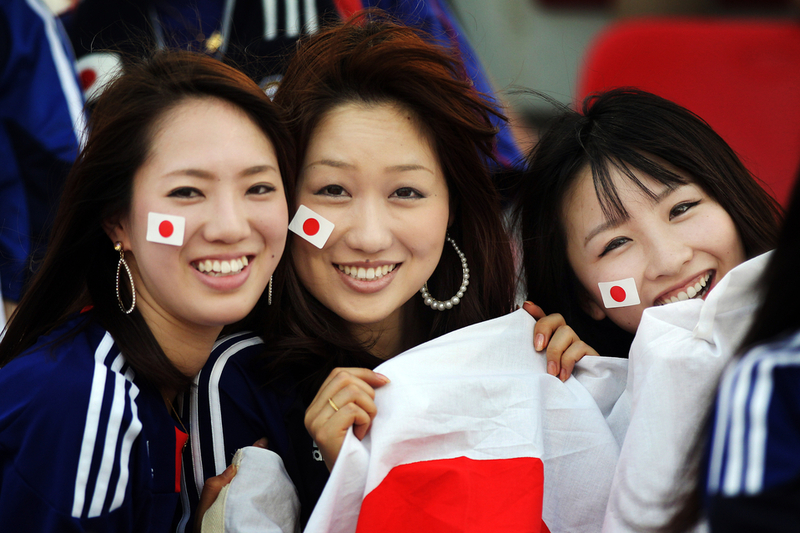 Japan had won the last three games, which were all friendlies, before coming into the game against Singapore. The presence of home advantage only could have made things easier. As it is, the incredible setback received in the opening game of the qualification campaign is likely to dent confidence within the team. For the time being, though, Japan will not have to worry about World Cup qualifying since they will be taking part in the East Asian cup which begins on August. The next qualifying match is against Cambodia in September. “I’ve never seen a situation like this before in my career.We kept creating chances and the players gave everything to get the win. The only thing that was missing was a goal.If we had been able to get a goal, then it would have turned out to be a different game. It’s difficult to accept but there is no need to be despondent. At home, in front of great support like this, we have to win,” said Halilhodzic. Singapore are unlikely leaders in the World Cup qualification group after having taken four points from the opening two games.